FFG ENGINEERING SDN.BHD. was established in late 1992 converted from Aero Mechanical & Combustion Engineering Sdn. Bhd., which was incorporated in1989. Back then, we offered a range of metal work, fabrication and design of industrial furnace, oven, paint and powder coating system. With a growing market demand for local made glove dipping system, we switched our focus to glove machinery and are one of the first companies in Malaysia to venture into glove dipping machinery manufacturing. We then introduced our first glove production line in August 1988. Today, FFG has 18 years of experience in designing and fabrication of glove dipping machinery and other auxiliary parts for glove manufacturing industry such as glove laundry dryer, automatic mold release system. 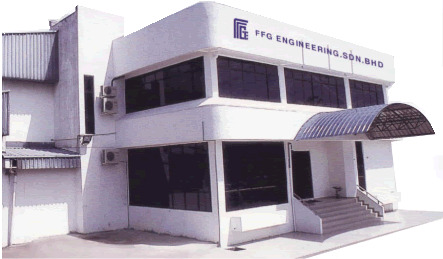 FFG ENGINEERING SDN.BHD. was established in late 1992 converted from Aero Mechanical & Combustion Engineering Sdn. Bhd., which was incorporated in1989. Back then, we offered a range of metal work, fabrication and design of industrial furnace, oven, paint and powder coating system. With a growing market demand for local made glove dipping system, we switched our focus to glove machinery and are one of the first companies in Malaysia to venture into glove dipping machinery manufacturing. We then introduced our first glove production line in August 1988. Today, FFG has 18 years of experience in designing and fabrication of glove dipping machinery and other auxiliary parts for glove manufacturing industry such as glove laundry dryer, automatic mold release system. We have established track record as a reliable machinery fabricator and supplier to both local and oversea companies. 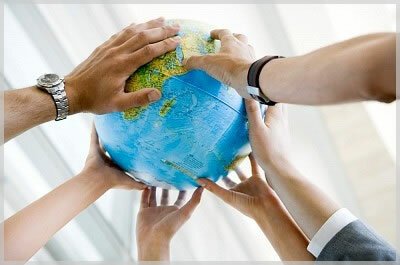 Our existing clients for glove dipping projects are from Malaysia, Thailand, Indonesia and South America. In 2004, we developed our prototype double former dipping system for R&D purposes and ventured into manufacturing of double former dipping system subsequently, since then we had have installed and commissioned our double formers dipping system for both local and oversea clients successfully. • We have an established track record with our customers over the years as a credible fabricator and supplier with after sales services. • We have strong experienced team of sound technical expertise who are readily to provide our after sales support for both mechanical and dipping technology to ensure maximum operational efficiency. • Due to our direct interface with our customers and close collaboration of our technical team with the customer, we are able to meet the unique and evolving requirements of each and every one. • We also emphasize on customers’ production quality, cost and standards enhancement through our in house R&D in design features which will keep us abreast of the industry trends and meet the changing needs of our various customers. • Over the years we had have developed strong relationship with our suppliers which enable us to continue to source the reliable quality materials for our fabrication and provide us the competitive edge over our other competitors. Since 1988, we had have started in the sub- contracting of dipping line fabrication and installation. To date, we have being install more than 100 units of dipping line in total for the last 18 years. We trust our distinguished commitment towards the glove dipping industry coupled with our experienced and well trained personnel; we are resourceful and sustainable to forging strong partnership with our customers and suppliers to establish a mutually beneficial business within this ever demanding glove industry.